Many window air-conditioning units and dehumidifiers contain hydrochlorofluorocarbon 200 (HCFC) refrigerant. CFCs and HCFCs are ozone-depleting substances (ODS) that, if released to the environment, destroy the ozone layer. Moreover, CFC and HCFC refrigerants are also potent greenhouse gases. Their release contributes to global climate change. Even those air conditioners that do not contain ODS must be carefully handled because they contain greenhouse gases. This means that it is illegal to simply put your air conditioner out with the trash or drop it off at the dump. Instead, you will have to take the time to learn about options and then properly dispose of your air conditioning unit. There are quite a few options available for air conditioner disposal. Some may even leave you with some extra cash in hand. To make the best choice, you'll need to do a little research. Through the program, an appliance owner is paid a "bounty" to allow the recycler to collect and recycle their old, inefficient appliance. Some programs also offer rebates and discounts towards the purchase of new ENERGY STAR® qualified models. Most bounty programs have specifications for the appliances they can accept. To find out if bounty programs are offered in your area, try contacting your electricity provider. As there are federal or state/province regulations as to the disposal of these types of appliances, before you dispose of it in a landfill, recycle or trash bin, call your local sanitation department to find out if it needs to be prepared before it can be discarded. It may just need to be taken to a certain disposal area, or it may require a qualified technician to remove the coolant, similar to what is done with the disposal of refrigerators and freezers. When buying a replacement air conditioner, check with the retailer to see if they'll take and dispose of your old model for you. Some merchants may provide this service as part of the sale; others may reduce the cost of your appliance in exchange for a trade-in. There are two very different ways to recycle your old conditioner. 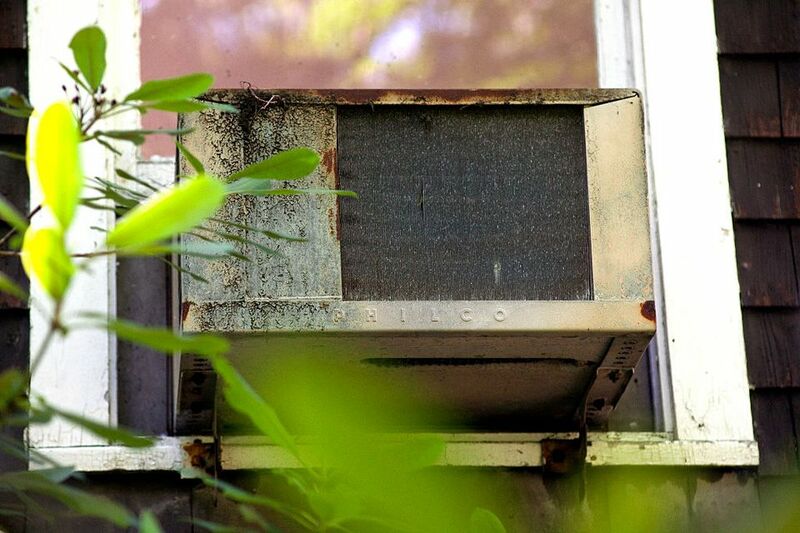 If it is functional but older, you may want to reconsider "recycling" by donating to a worthy cause that can use the air conditioner for its building. When you take that route, you not only help a local charity but you also earn a tax deduction. Another way to recycle is to seek out a local organization that reuses parts rather than putting them into a landfill. While some parts of an air conditioner are not recyclable many, such as metals and plastics, can be reused. What Does a T&P Valve Do?